Can I Change Lawyers In The Middle Of A Lawsuit? This is a question we often get from curious callers to our office and we want to clear up some confusion. First, know that you’re the boss. If at any time you’re not happy with your current lawyer, you have the right to fire your lawyer – even if a lawsuit has been filed and your case is pending in court. We frequently get calls from people who want to change lawyers for any number of reasons, such as the lawyer does not call them back, they never speak with their lawyer – only secretaries or paralegals, or the lawyer does not appear to be aggressively moving their case forward at all. Read more here. This video is shocking. It shows the Nissan car manufactured for use in Mexico getting obliterated in a crash test compared to the car manufactured for use in the US. All drivers should feel safe in their vehicles, and this video showing the difference in safety between cars in Mexico & the US is not inspiring at all. Nissan is not the only manufacturer that has these major differences. David Ward, the secretary-general of Global NCAP asks “How can a manufacturer justify selling a vehicle in low-income countries that they know would be illegal in high-income countries?” Read more here. 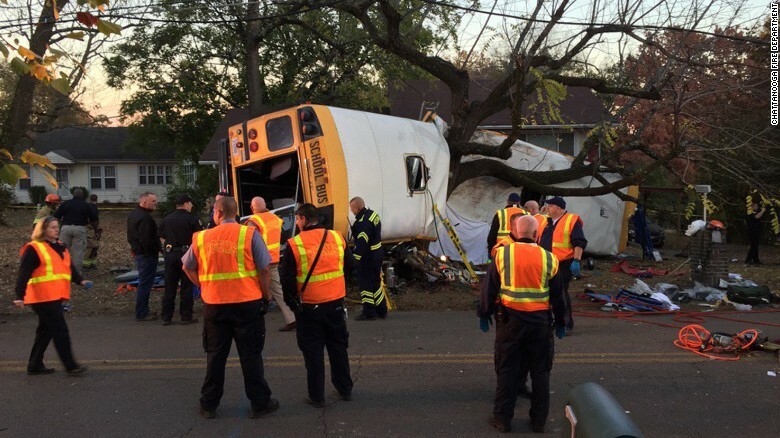 On Monday, a school bus carrying elementary school children slammed into a tree splitting the bus in half, and killing 5 children. Johnthony Walker, 24, the driver, is has charges of five counts of vehicular homicide, reckless endangerment and reckless driving. He could face more charges pending the investigation. This crash has caused a huge discussion on whether seat belts should be mandatory on school buses, as they might have prevented these deaths. The NHTSA has released new guidelines for companies such as Apple and Google to hopefully help curb distracted driving. Some of these guidelines include recommendations to disable certain cell phone functions when paired with a vehicle, such as playing most video, text entry for messaging or internet browsing and displaying social media content. You can read more guidelines and the impact these guidelines could have here. While Thanksgiving was yesterday, deep-fryer safety is still SO important to follow for cooking throughout the rest of the holiday season. According to the National Fire Protection Association, deep-frying turkeys was responsible for 5 deaths and over 60 injuries.In order to avoid accidents this year, we suggest some tips to avoid a burnt bird and possibly a burnt body. Read all the tips here!